Plan with Purpose. Live Your Retirement. For over a decade, our founders have helped hundreds of families, individuals and businesses in Denver preserve, protect and grow their wealth. We have developed our business by educating, nurturing and maintaining close, trusting relationships with each of our clients. We are a wealth management firm focused on helping your family establish a plan with a purpose that aligns with your values. 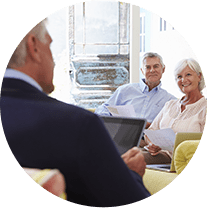 Through our firm's trusted advisors, we provide the information and guidance you need so you focus on living your retirement. 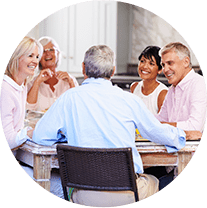 We have a strong team of professionals helping ensure you receive all the assistance you need, not only in developing your retirement income strategy but also in maintaining it throughout your retirement. Preparing for retirement should create excitement, not concern. We’ll cover as many bases as possible to help you create a strategy that supports your retirement lifestyle and long-term financial goals. Join us for an upcoming event, where we share opportunities that could help put you in a better financial position -- no matter what the future holds. Every member of Clear Creek Advisors is committed to earning your trust by putting your personal success ahead of our professional success. Our team specializes in retirement planning, and we stand ready to provide the information and guidance you need to help you achieve your long-term goals. To speak with a retirement professional, contact us at info@clearcreekadvisors.com or call us at (720) 642-8348 today! 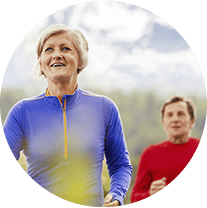 We are an independent financial services firm helping individuals create retirement strategies using a variety of investment and insurance products to custom suit their needs and objectives. Advisory Services provided by Clear Creek Advisors, a SEC Registered Investment Advisor. Subadvisory services are provided by Advisory Alpha LLC, A SEC registered Investment Advisor. All insurance products are offered through Clear Creek Insurance, Clear Creek Insurance does not offer Investment Advisory Services.